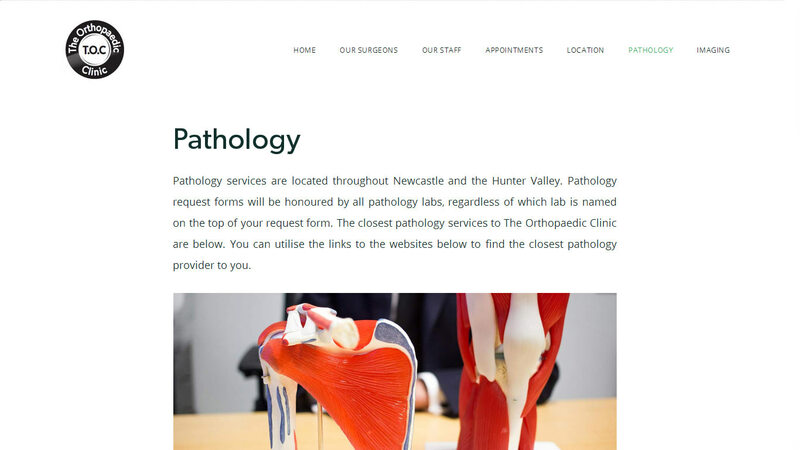 Trek Web Design Newcastle creates high quality custom developed websites for medical specialists and other health professionals. 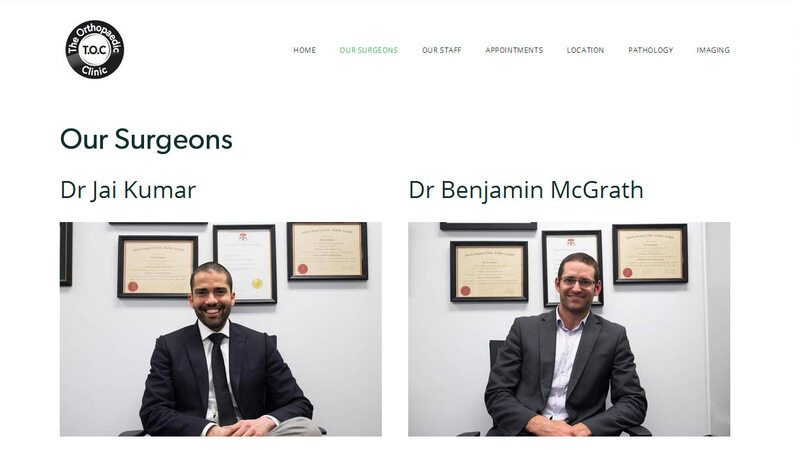 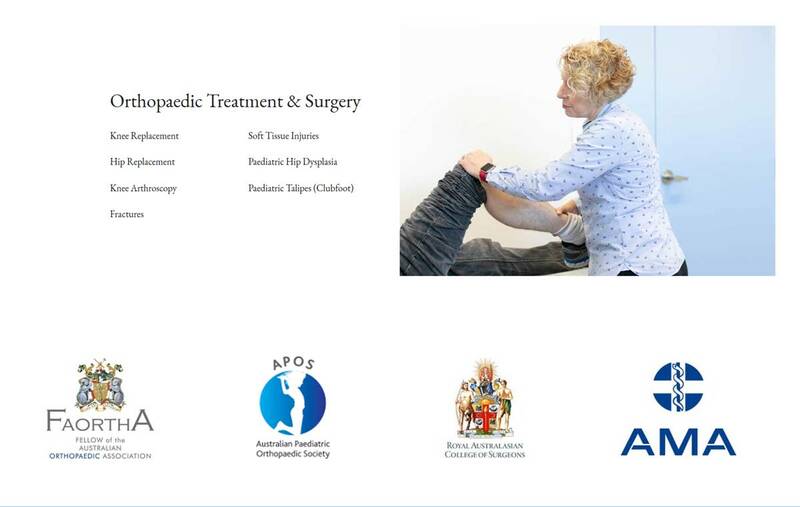 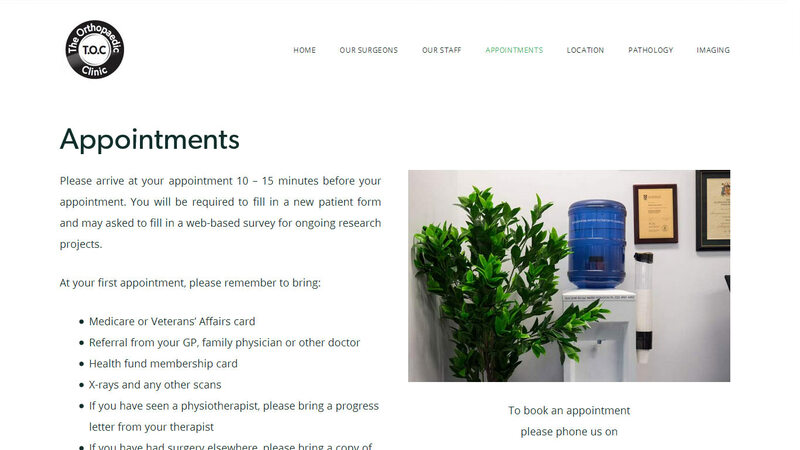 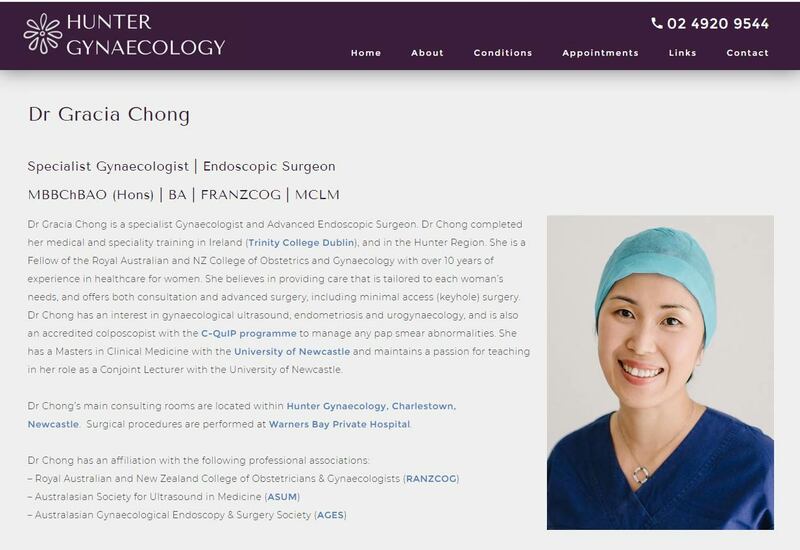 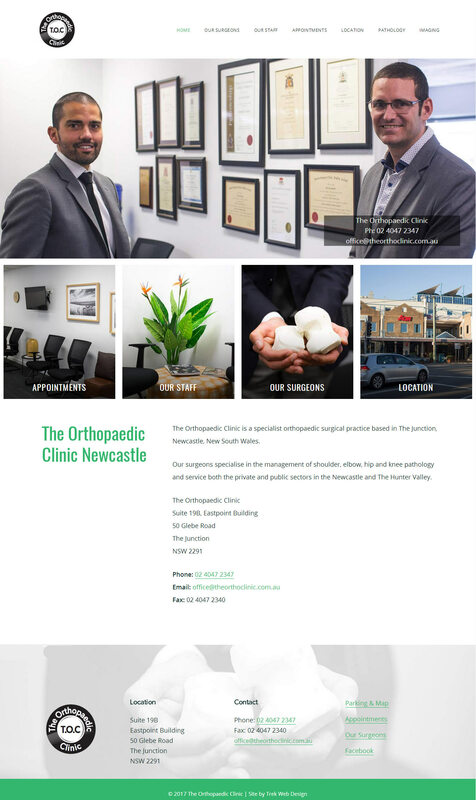 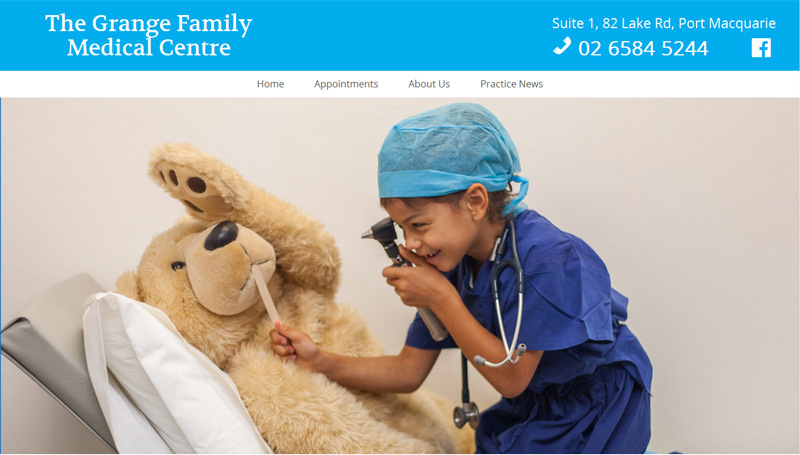 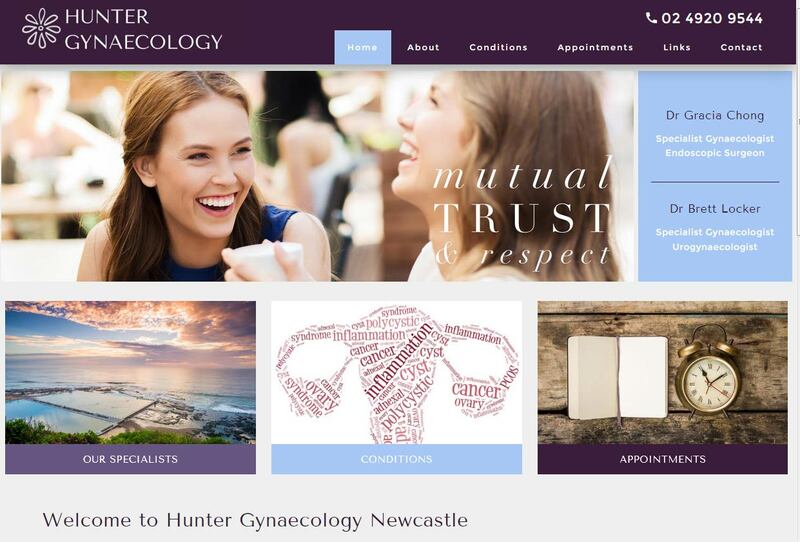 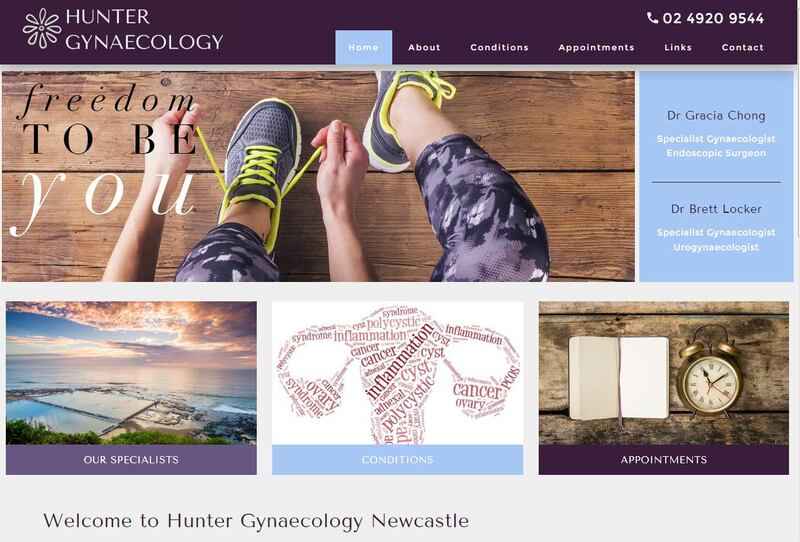 I have designed websites for numerous Newcastle based medical doctors and allied health practitioners as well as practices elsewhere in NSW & Australia. 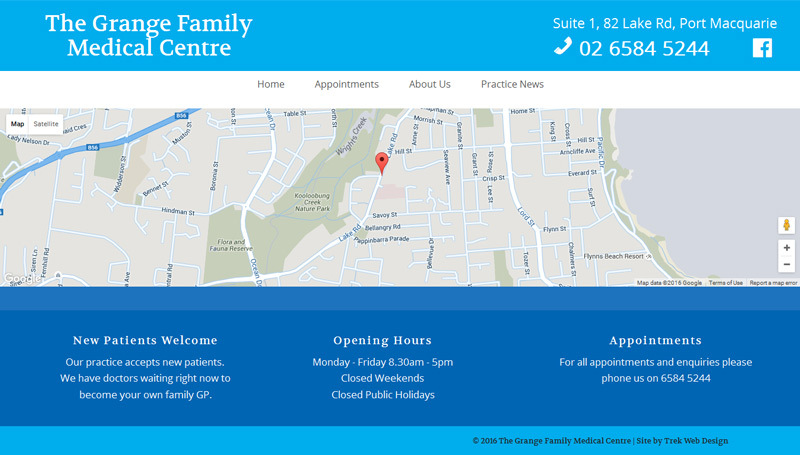 My websites are uniquely designed to suit the individual practice or clinician, and always include full on-site search engine optimisation. 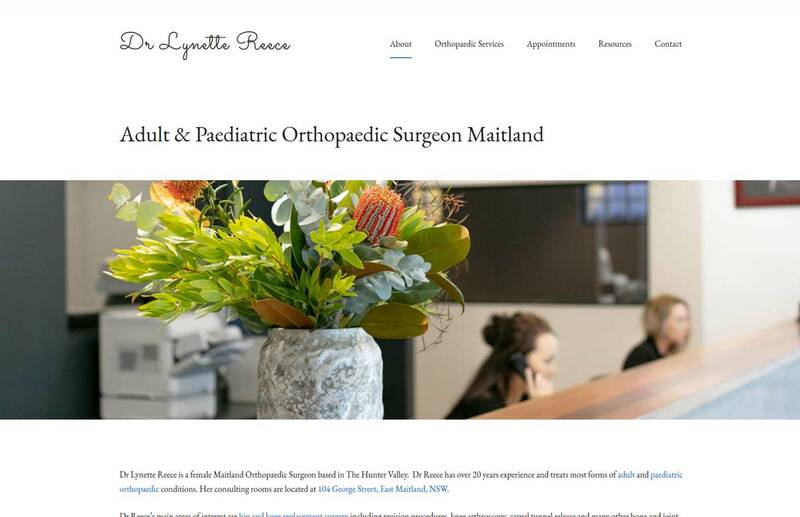 I have a clinical background and can assist with copywriting if required. 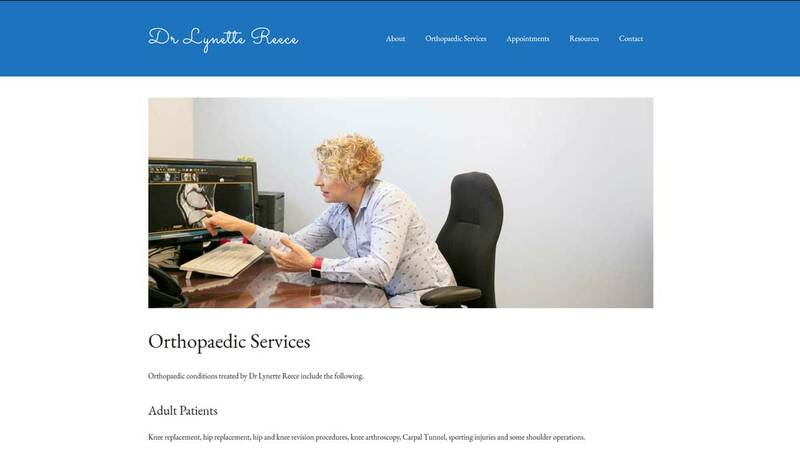 View examples of my medical websites below. 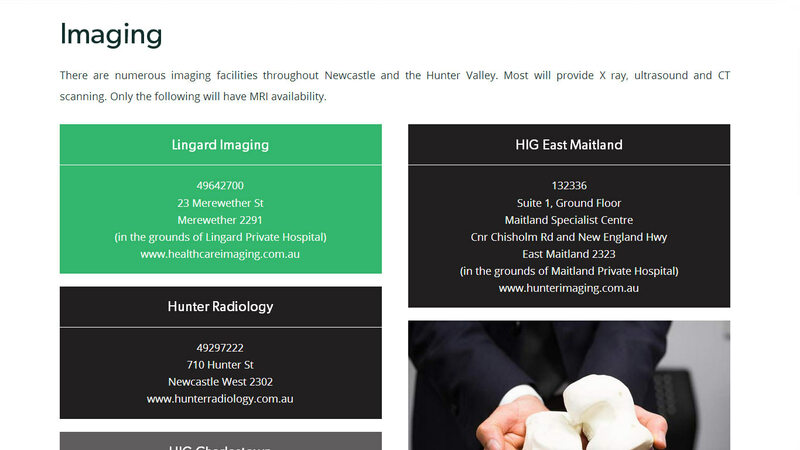 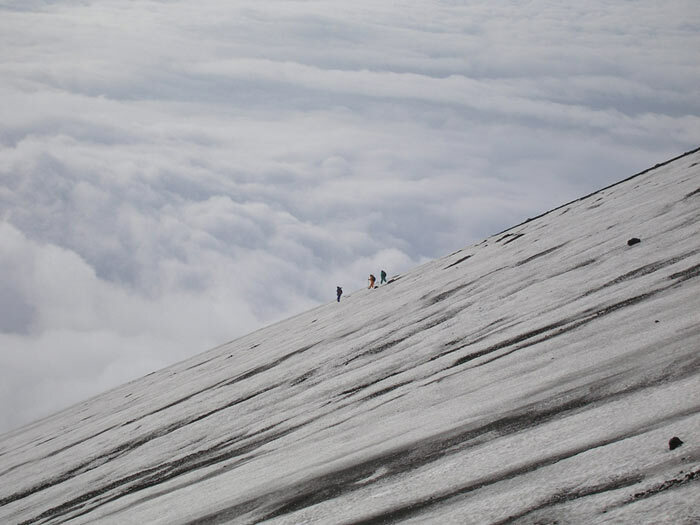 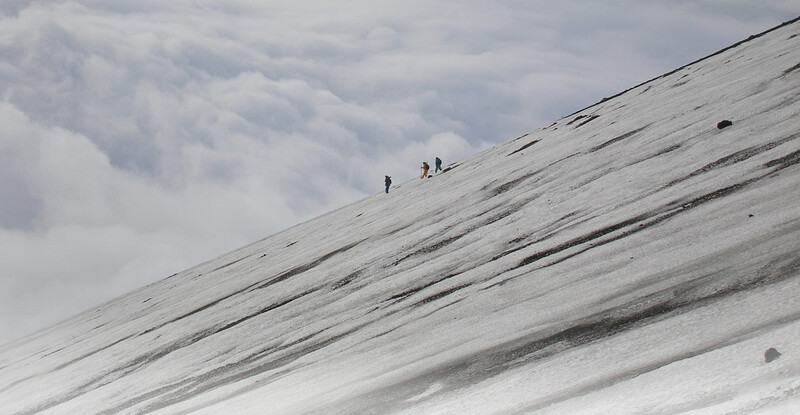 Click here to arrange a customised quote. 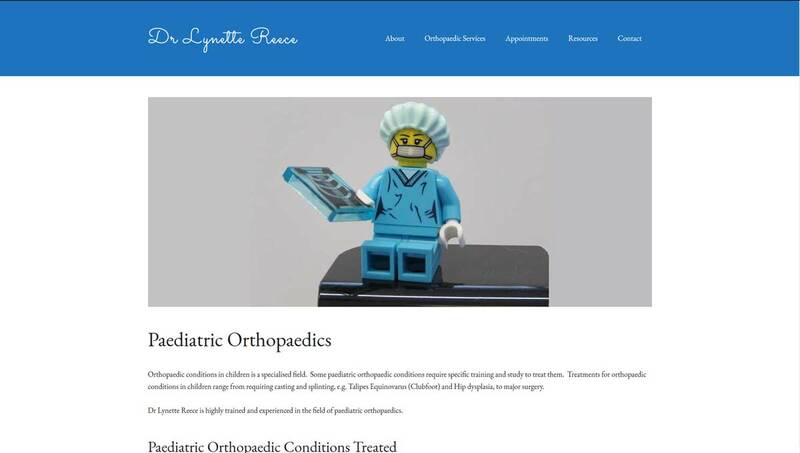 For more information visit my medical web development website. 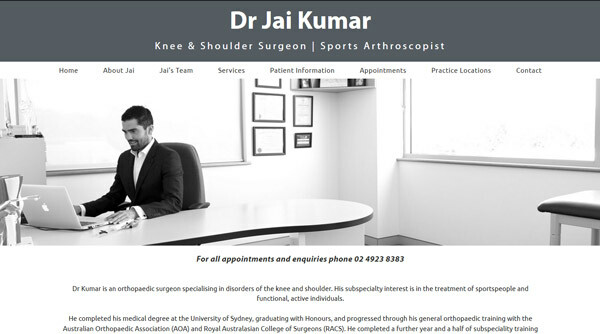 Dr Jai Kumar’s website was coded using HTML5/CSS3. 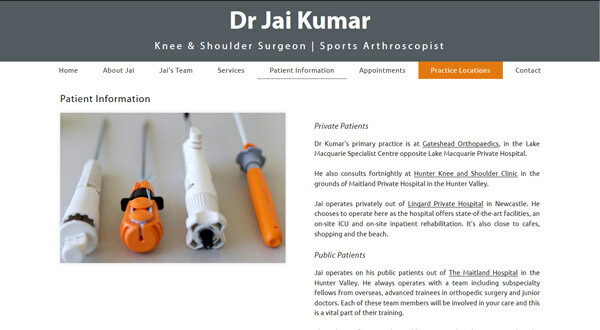 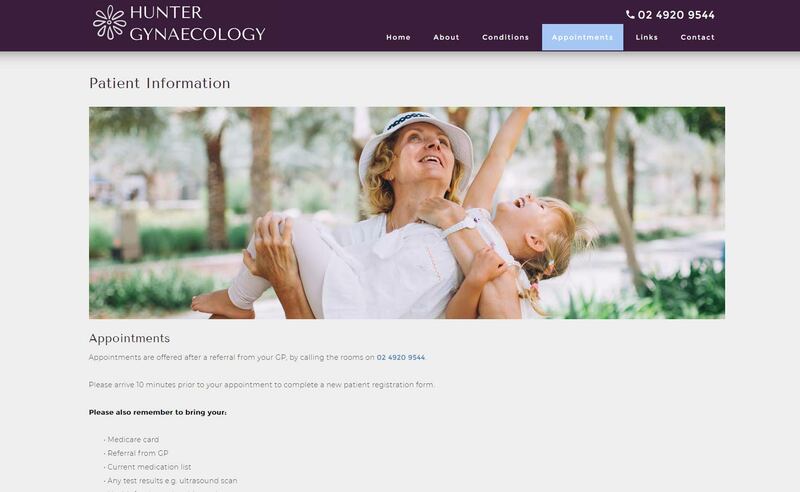 Jai was after a clean, professional looking web presence to serve as an information source for newly referred patients. 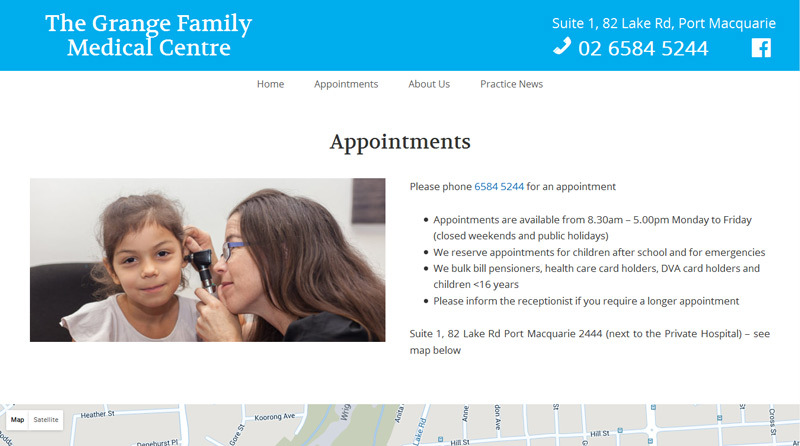 Like all our websites, this site is fully mobile responsive.